Fall and winter weddings are cosy and romantic, breathtakingly beautiful when done correctly (especially if you live in an area with a postcard-worthy landscape), and can be much cheaper with better venue-availability than their spring and summer counterparts. A crucial part of making your cold-weather wedding magical is choosing the correct flowers, because they can either enhance your winter environment, or make it look drab and grey. Luckily, fall and winter flowers come in a wider array of colours than you might think, so you have plenty to choose from. A natural choice for a wedding bouquet or flower arrangement is the amaryllis. Not only does it add a gorgeous shade of red to your design, but it also has a romantic story to go with it. Legend says that the amaryllis flower is named after Amaryllis, a shy nymph. Amaryllis fell in love with the shepherd Alteo, but her love was not returned. What Alteo sought more than anything was a flower so unique that it had never before existed and was so focused on his pursuit that he had no time to bother with Amaryllis. She consulted the oracle at Delphi for advice, and, upon returning home, clothed herself in white, stood at the door to Alteo’s home, and pierced her heart with a golden arrow. She repeated this for 30 nights. When Alteo finally opened the door, he found not Amaryllis the nymph, but a beautiful crimson flower born out of the blood of Amaryllis’s persevering and devoted heart. Because of this, the amaryllis flower has come to represent determination and love, and stands as a testament to the strength and purity of Amaryllis’s love. A tragic story, perhaps, but still one that illustrates the power and effect of love. Another flower to consider is the camellia, which comes in red, pink, and white. Native to eastern and south-eastern Asia, the camellia, like the amaryllis, also holds a deep meaning very applicable to a wedding atmosphere. Chinese tradition holds that this flower symbolizes long lasting devotion because of its perfect symmetry. The blossom represents a young women, the calyx (that which holds the blossom) represents the young man entrusted to protect the lady. The petals and calyx of the camellia fall together, symbolizing perfect unity and everlasting devotion. The Victorians held that each colour of the camellia had a different meaning: pink showed “longing,” red represented “you’re a flame in my heart,” and white symbolized perfection and loveliness, making this flower wedding-appropriate in at least 2 cultures. 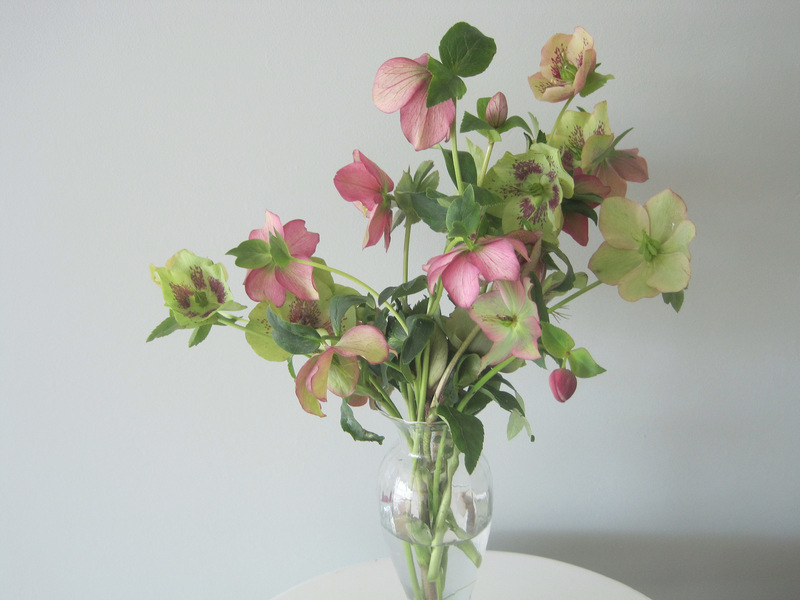 The hellebore is a great choice for those looking a for darker, yet still beautiful, flower colour. Those interested in doing a more Gothic-style wedding may want to give the hellebore some serious thought, as it comes in grey, almost black, blood red, deep purple, and plum. One of the varieties, the Christmas rose, or Helleborus niger, is said to have been brought into existence by an angel who, upon seeing a country girl’s distress over not having a gift to present to the infant Christ, takes her outside, touches the ground, and from that the Christmas Rose springs. 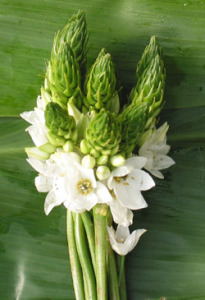 However, some of the varieties of this flower are toxic, so keep that in mind when shopping for them. Iceland poppies are actually not found in Iceland; they are native to sub-polar areas of Europe, Asia, North America, and mountainous regions of central Asia. 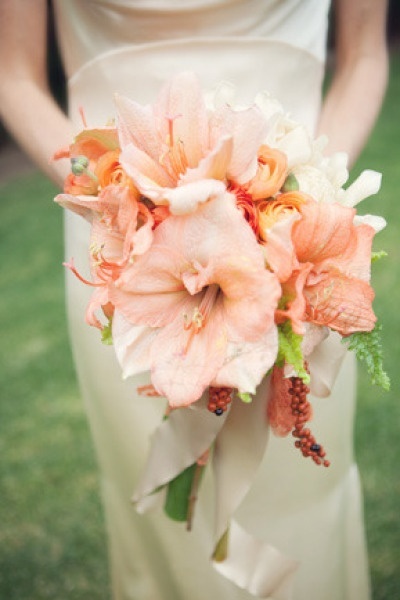 Colours include yellow, orange, salmon, rose, pink, cream, and white, as well as some bi-coloured varieties, making them a good option for brides looking to brighten up floral designs. 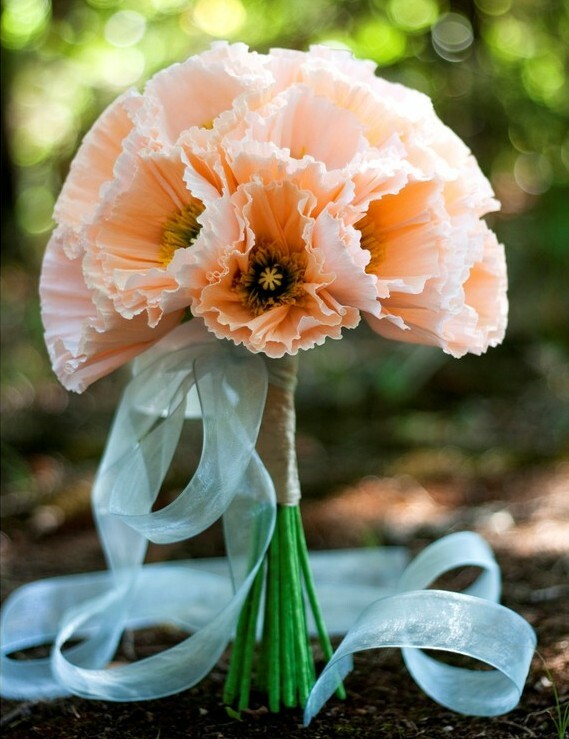 Iceland poppies are also pleasantly scented, but they are another choice that is highly toxic. This beautiful white flower is so named for its small, star-shaped blossoms. The Star of Bethlehem grows in bunches, making it easy to use as a filler or accent piece. 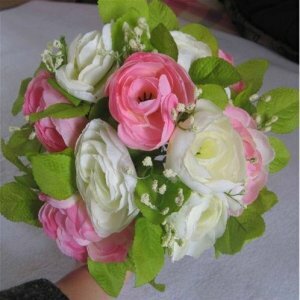 It is said to mean “hope in life,” making it exceptionally suited for a wedding atmosphere. It also means “forgiveness” and is also included in anniversary and “I’m sorry” bouquets. Cyclamen refers to a genus of 23 species of flowers, some which bloom in spring and winter, and others that bloom in summer and autumn. They are native to Europe as wells as the Mediterranean Basin and come in white, pink, and purple varieties. 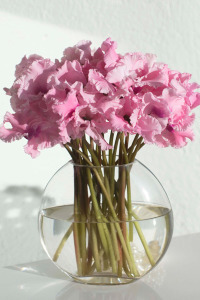 These are an interesting flower to include in any arrangement because they have a unique petal and bloom shape; the petals are almost round and the stem curves downward in such a way that causes the bloom to grow nose-side down, giving any bouquet a non-traditional look. 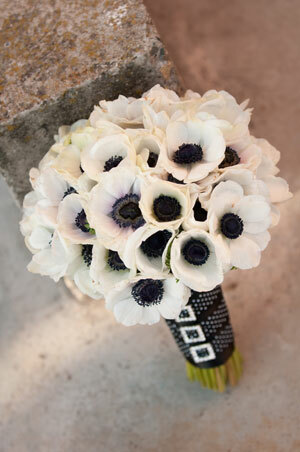 The anemone genus is a particularly versatile group, boasting over 120 varieties in a rainbow of colours. Like the amaryllis, this flower also has a love story connected to it. It is said to tell the tale of the romance between Adonis (a mortal man) and Aphrodite. When the two were living together, they would often go hunting, with Adonis chasing the game through the forest and Aphrodite following behind in a chariot. Aphrodite’s old flame, Ares, saw this and became jealous. He disguised himself as a boar and attacked Adonis when he was hunting without Aphrodite’s accompaniment. The mortal was able to strike Ares with his spear, but Adonis was no match for the giant tusks of the boar and quickly died. When Aphrodite arrived at his side, Adonis’s soul had already made the trip to the Underworld. In grief, she poured nectar on her lover’s wounds and carried his body out of the forest. As she walked, blood and nectar dripped from Adonis’s wounds onto the earth, where they sprang into crimson anemones. A tragic love story, but a beautiful tale of devotion that speaks to the joy lovers feel when spending time together, no matter how long that time lasts. Choosing to have a fall or winter wedding does not mean that you have to limit your palette to drab and boring colours. A wedding in either season can have the same beauty as one in spring or summer when designed correctly. The flowers you choose make the mood of the atmosphere, so choose carefully and creatively. Are you going for a more sombre, Gothic look? Pick flowers that come in deep reds and purple, like Hellebore. Would you rather a cute clean look? Pure white flowers accented with some of the pink varieties previously listed, tied together with a cute bow may be more what you like. Fall and winter flowers have just as much to offer as others, so give them a chance to blow your mind.